Beginning on May 1, pilots may take advantage of the regulatory relief in the BasicMed rule or opt to continue to use their FAA medical certificate. That bit I put in red is vague...does that mean that if you have a condition on some FAA list, that you still have to go through the SI process, to "verify eligibility"? Special Issuance will only apply to those who already have one. If you have never had an AME exam and gotten a medical certificate in the past 10 years this may apply to you because you do need to pass at least one AME exam in the past 10 years and dependent on your medical condition may need to get a Special Issuance to pass. N/A to Light Sport Pilots. But that's not what it really says. It says " for certain specified mental health, neurological, or cardiovascular conditions". That makes it sound like there is some subset of SI conditions for which the eligibility for the SI must be maintained. Otherwise they could have just said "all special issuance" which cover not only the listed conditions, but cancer, diabetes, and a host of other issues. Why list three categories specifically? I think there might be more to the SI rules here. Also, I was lead to believe than once you went to the DL medical rules, you would not need SIs anymore. It sounds like if you have one for some conditions you will need to maintain it. Might as well have a medical at that point, passing the SI is the hardest part for those pilots usually. So have anyone dug into what evidence is required for the below? This article does not go into depth on the Si issue (and I don't have a copy of the actual rule). Given how the gist of the rule is to accept any medical taken in the last 10 years, even if not current (last two years or five years) it makes sense it would apply just to current holders of an SI...and it is not clear if they have to keep it in force since no one has to take another medical at all to fly under this new rule. Someone probably needs to contact the FAA and find out....since I don't have one it won't be me. Agreed, we just don't know what FAA has in mind here. I will never have a medical or SI, so it won't be me calling either! Go to faa.gov. It's in an AC. You can read the whole thing. Forget the article. Special-issuance medical certificates are always time limited and will explicitly state the date when the certificate expires or is no longer valid. Therefore, any special-issuance medical certificate with an expiration date on or after July 15, 2006, would meet the 10-year look-back requirement. you presently have any of the following? (Yes, No, Comment). a. Frequent or severe headaches. b. Dizziness or fainting spell. c. Unconsciousness for any reason. d. Eye or vision trouble, except glasses. e. Hay fever or allergy. f. Asthma or lung disease. g. Heart or vascular trouble. h. High or low blood pressure. i. Stomach, liver, or intestinal trouble. j. Kidney stone or blood in urine. l. Neurological disorders: epilepsy, seizures, stroke, paralysis, etc. m. Mental disorders of any sort: depression, anxiety, etc. use of illegal substance in the last 2 years. o. Alcohol dependence or abuse. q. Motion sickness requiring medication. s. Medical rejection by military service. t. Rejection for life or health insurance. attendance at an educational or a rehabilitation program. w. History of nontraffic conviction(s) (misdemeanors or felonies). x. Other illness, disability, or surgery. The red bolded area above is the same language used on the current medical form. In other words, if you don't make a complete report of your medical history, with no omissions, you can be subject to certificate action. This almost seems like a backdoor medical. Why would the FAA want all of this information, if they have no intention of ever acting on it? Also, section 8.2 deals with SIs, and basically says if you have ever had a mental health disorder, neurological condition, or Myocardial Infarction or coronary heart disease that has required treatment, you WILL be required to get a one-time SI, even if you never had an SI before. This one will snare a lot of pilots. If you had coronary disease and had a stent put in, then let your medical lapse and flew under Sport Pilot rules for the last five years rather than get an SI, if you want to fly under BasicMed you sill have to get the SI before you can do so. A lot of pilots with heart issues have gone to Sport Pilot, or stopped flying. Under these new rules they will not be able to go back to flying using BasicMed without first getting an SI for their coronary issues. Folks who have gotten a coronary SI have said it's a royal PITA, requiring thousands of dollars in tests and months of back and forth with the medical branch in Oklahoma City. This new bill has not changed my opinion of wanting to stay out of the FAA medical system altogether. My airplane and Sport Pilot limitations suit my mission very well already. The only change I'd like to make is the ability to fly at night, but I would rarely do that so it's no big deal. I hope this does for other pilots what they want and need, but I see a few traps hidden in the language that would make me think twice about going the BasicMed route if I had any health concerns. According to the AOPA and EAA they have teams of lawyers looking this over....they will no doubt answer all these quesions over time. Correct. Will be flying my CTLS or similar, until I cannot fly anymore. Not interested in any other certificate. 8.2 Special Issuance Medical Certificates Required. If you have already had an SI, you are good to go. If you have a listed condition (like a past heart attack or coronary disease that required treatment) and have never had an SI, you have to go through the SI process before you can use BasicMed. You are talking about someone who has never passed a medical or gotten an SI (like a PPL student or someone like you who got a Sport Pilot license). And those people are still required to get a medical and/or an SI to fly under the new rule but can certainly just continue to start to train for and/or fly as a Sport Pilot. They will also always be restricted to LSA. I am talking about someone who has passed a medical (current or expired) and/or has had an SI in the past 10 years. Those people can fly under the new rule (even if currently flying as a Sport Pilot despite an expired medical and/or SI). These can fly LSA or the larger, faster planes and in IMC if instrument rated. It's an honor deal, like flying on a DL is for Sport Pilot. With no AME in the loop, no ordinary doctor has the authority or the resonsiblity to report a pilot with such a condition to the FAA. So off they go. This issue is DIRECTLY related to Sport Pilots and LSA. The future of LSA hangs in the balance to a great extent given how many flying as Sport Pilots with expired medicals will take advantage of the rule and move back to the larger, faster, higher useful load aircraft they once flew. No, if you passed a medical but never had an SI before, if you have had coronary issues you must still get an SI in addition to your existing medical before you can use BasicMed. Time will tell, but the way I see it is if you have had any of these conditions that required treatment since your last medical you will have to do the special issuance before being able to use BasicMed. I think the language is pretty clear, and that's my reading as well. No matter what your medical status, if you have cardiac issues you will need at least one successful pass through the SI process. Operations for sport pilots will not change because of this. Operations of light sport aircraft will not change because of this. What may change is the number of new light sport aircraft being introduced or built. 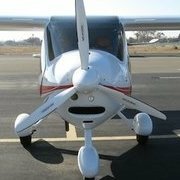 I think many of the LSA designs can stand own their own, and remember just because a airplane is a LSA it doesn't have to be flown by a sport pilot. Disagree. The rule simply states if you have had a medical and/or an SI in the last 10 years you can now fly under the new rule. There is nothing in the rule that says you have to go back and see an AME once you can say you had a medical and/or an SI. Remember, there is no AME to make the diagnosis and report it to the FAA. At that point you decide if you can fly even if your doctor knows you have a heart condition there is no connection between the doctor (not an AME) and the FAA. Also the rule does not take into account someone developing such conditions after May 1st. The entire exercise is intended to allow guys to fly with no more contact with an AME. It's no different than flying as a Sport Pilot right now under the 'honor' system of self-assessment. There is confusion and disagreement on other aviation sites over what the language says....no doubt it will get worked out by AOPA and EAA and FAA lawyers. And hopefully the usual confusion the FAA manages to produce in it's language will get resolved before May 1. Starting on page 41 of the final rule posted by you!! Take a look. FESSA, may not use BasicMed until they have been found eligible for special issuance of a medical certificate." The language could not be more clear. If you have one of the three specified conditions, you must have been found eligible for special issuance of a medical certificate. Medical certificate status notwithstanding. Full stop. In fact, it sounds like once you are diagnosed with one of these conditions, even if already on BasicMed, you must then go back and get an SI to continue using BasicMed. This is essentially not an improvement for people not flying due to the most common issues that cause people to not want to risk failing a medical. And guess what, if you fail the SI screening process you can't even fly Sport Pilot anymore, because now you've been denied a medical. Yet another catch-22 from the FAA. They seem to like those. Who is going to catch them? There is no AME in the loop and your personal doctor is not tasked to report to the FAA. And the rule clearly states you no longer need to see an AME once you fly under the new rule, it does NOT say you need to continue getting an AME check to keep an SI current....that is precisely the point. Even now guys are flying as Sport Pilots with serious medical problems but know one will know because no one checks them. See how it works? Who is going to catch them? There is no AME in the loop and your personal doctor is not tasked to report to the FAA. Even now guys are flying as Sport Pilots with serious medical problems but know one will know because no one checks them. See how it works? Every 48 months you are required to have a comprehensive medical review with your doctor, and disclose these conditions on an FAA form. You are swearing to that effect. If you disclose a cardiac (or other listed condition) you are required at that point to get an SI, just as if you held a third class medical. If you lie on the form, you are subject to certificate revocation, just like if you lie on any other FAA medical form. I don't think "just lie" is a strategy for success here.